A leading player in higher education in the United States and Canada required a digital data reporting for their digital data to enable better decision making and improve customer engagement. Tealeaf is a Customer Experience Management(CEM), tool to get an understanding of customer navigation/engagement experience on the site, to help in better design of the website. The client encountered challenges due to inefficiencies in customer engagement and other issues. They also needed a better understanding of application issues, overall health, and performance. 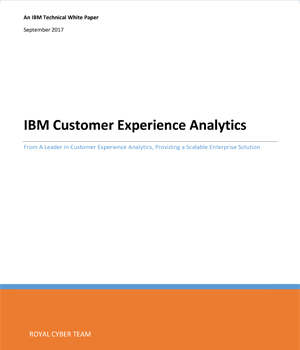 IBM Tealeaf was used to enable critical visibility, insight and answers to help the client meet online conversion and customer retention objectives with customized reporting to improve insights and enhance operational efficiencies across the organization.